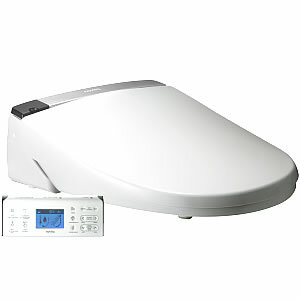 From Kohler Novita, the largest bidet seat manufacturer in Korea we are proud to introduce their newest model series. With TFR heating, backlit easy touch remote control, automatic lifting seat/lid, stainless steel covered wands and twin nozzles with silver nano-technology, these are the most technologically advanced bidet seats on the market today. Kohler Novita BH-90-N0/BH-93-N0 with remote control integrates a long list of premium features into one bidet seat.